Beeswax Pillar Candles. 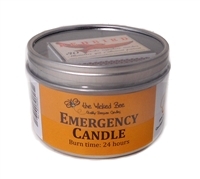 Beeswax candles are long burning, golden glowing, air purifying and almost dripless. They contain no artificial additives, no paraffin waxes and no GM organisms like soy candles. The Honey Bee Store Niagara, Ontario. Beeswax candles are long burning, golden glowing, air purifying and almost dripless. They contain no artificial additives, no paraffin waxes and no GM organisms like soy candles. Beeswax is all natural wax processed by honey bees that eliminates odors, smoke, and other allergens in your home or office.